Alabama — PJKoenig Golf Photography PJKoenig Golf Photography - Golf Photos For Those Who Love The Game. 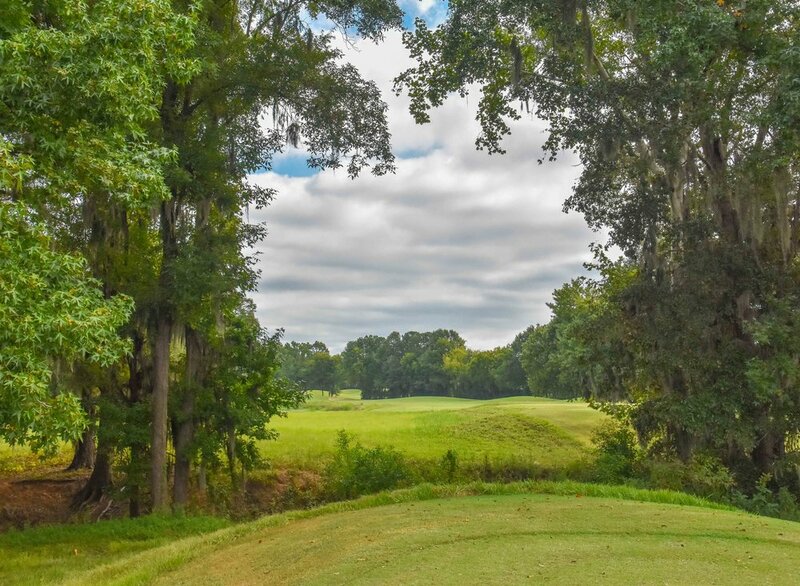 Located just 13 miles north of Montgomery you will find the Capitol Hill golf complex on the Robert Trent Jones Golf Trail. One of the more popular sites on the trail, Capitol Hill offers 54 holes of political golf with The Judge, The Legislator, and The Senator courses. The Judge course offers what is probably the most spectacular opening tee shot on the trail and kicks off a challenging round of golf. 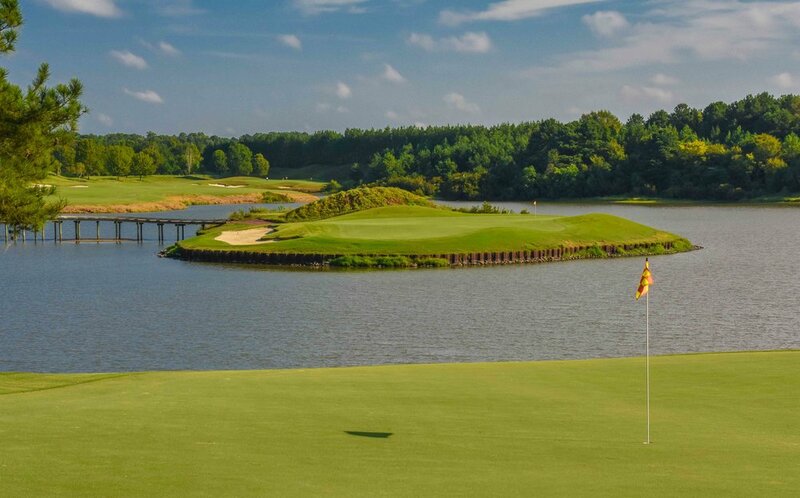 The course winds it's way around the Alabama River and also features an island green on the 6th hole. The golfer only gets 4 holes when water does not come into play. Fortunately, I only found the water once and grinded out a satisfying 77. 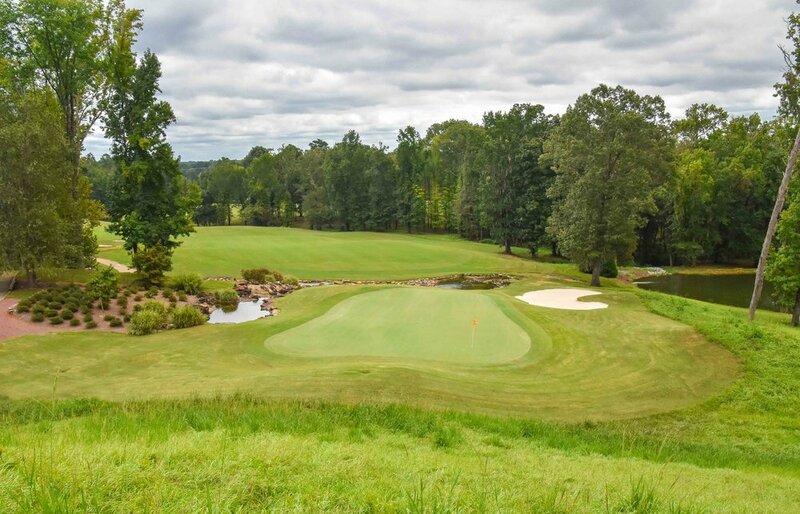 The Legislator course is part of the 54 hole golf complex at Capitol Hill on the Robert Trent Jones Golf Trail. The course plays in and out of the pine trees and offers more of a traditional feel compared to it's Judge and Senator counterparts. This would be the final 9 holes in a day of 45. I would suffer a $20 gambling loss on the day, but when I factored in my overall golf happiness level and then converted that to currency, I actually won $298.75. 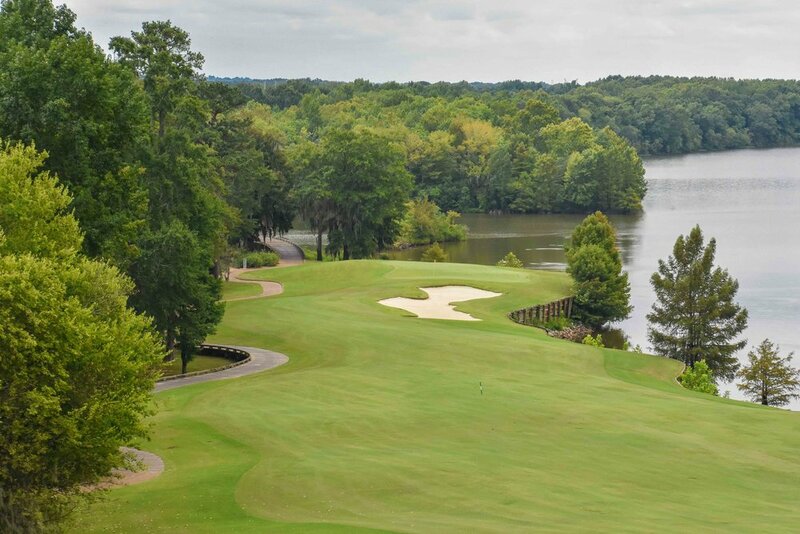 The Senator Course is part of the 54 hole complex at Capitol Hill on the Robert Trent Jones Golf Trail. The course also plays host to the annual Yokohama Tire LPGA Classic. The Senator is a "links style" course with bermuda grasses throughout. Plenty of pot hole bunkers and drastic mounding around 20-40 feet characterize much of the golf course. Watch out for the mushroom wedge halfway through the gallery. Upon further examination, I was +8 before striking the mushroom and -1 afterwards. Magic mushroom perhaps? Probably. 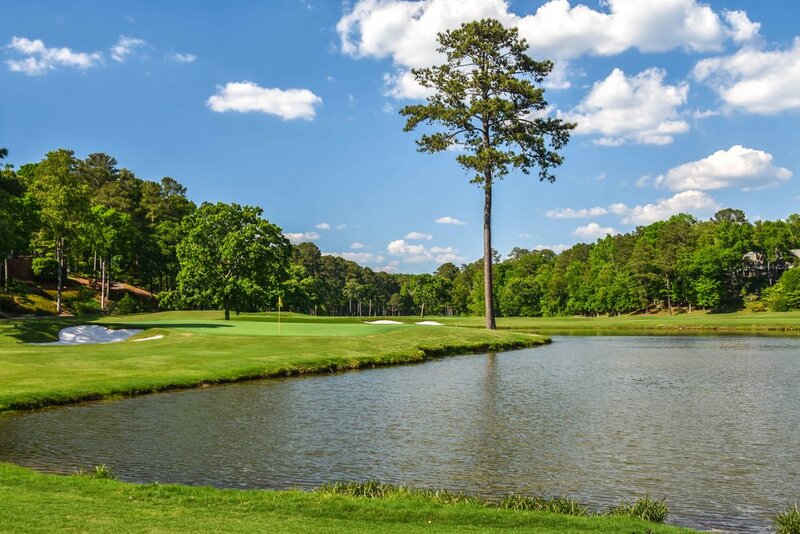 The Lake course at Grand National is part of a 54 hole golf complex on the Robert Trent Jones Golf Trail and plays host to the PGA Tour's Barbasol Championship each July. 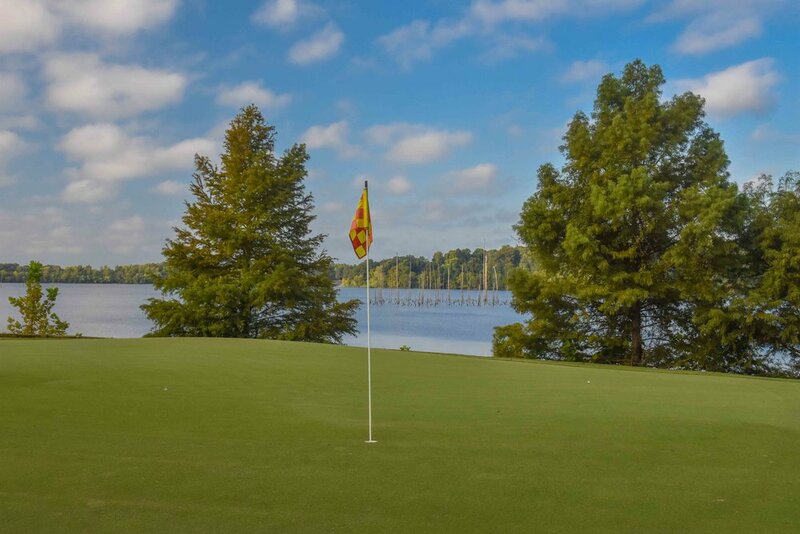 The course is built upon some of the best golf land on the trail and 12 of it's holes are situated on Lake Saugahatchee. The Lake course is one of the most affordable places to play a PGA Tour venue. The air was abuzz with college football madness as we played our round before heading out to the Auburn Clemson game. After scoring a couple of touchdowns early, Grand National blitzed repeatedly and our foursome would suffer some costly sacks on the back nine. In the end, everyone in our foursome would shoot 81 and be denied the 70's. 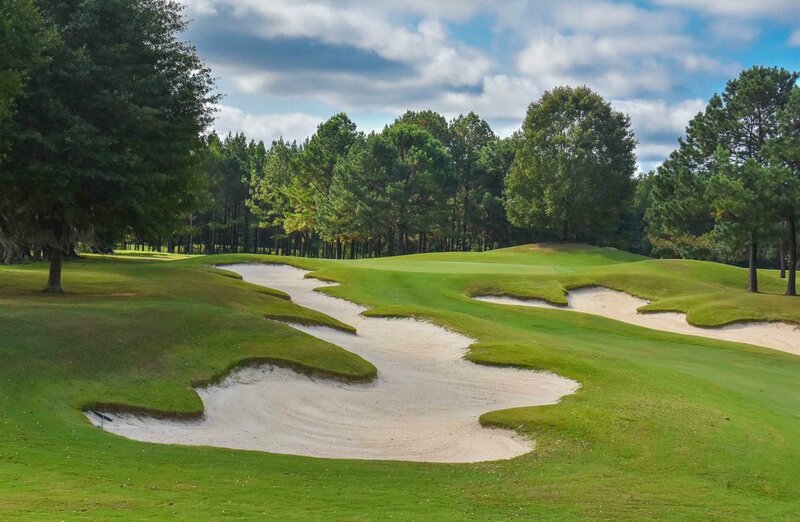 The Links at Grand National is certainly not a links course but it definitely falls into Golf Digest's Best in State Rankings at #6 in Alabama. 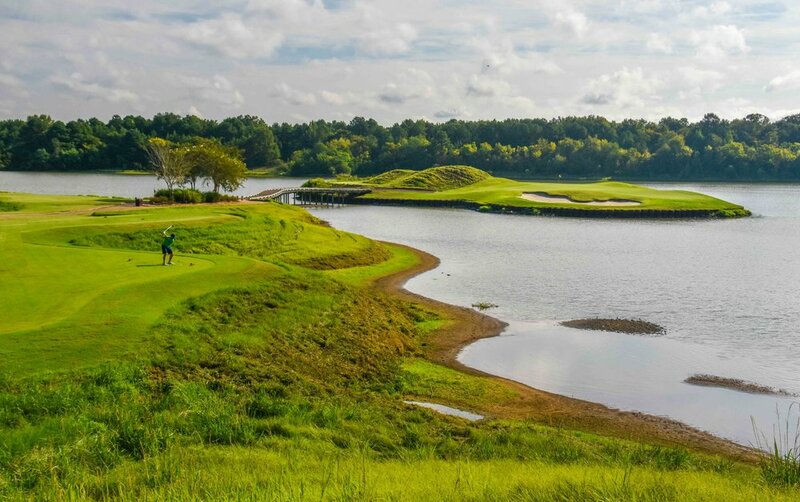 Part of the 54 hole golf complex, The Links can be argued as the finest course on the Robert Trent Jones Golf Trail. With our time on the trail coming to an end, it was time for some one to step up to the plate and hit the "shot of the trip." This honor would fall upon, trip organizer, Nik Divakaruni. After a wayward layup shot on the par 5 12th hole, Nike would hole out his 4th shot from 150 yards. The crowd would go crazy and Nik would be signing autographs for the rest of the round. By signing autographs, I mean drinking John Daly's. 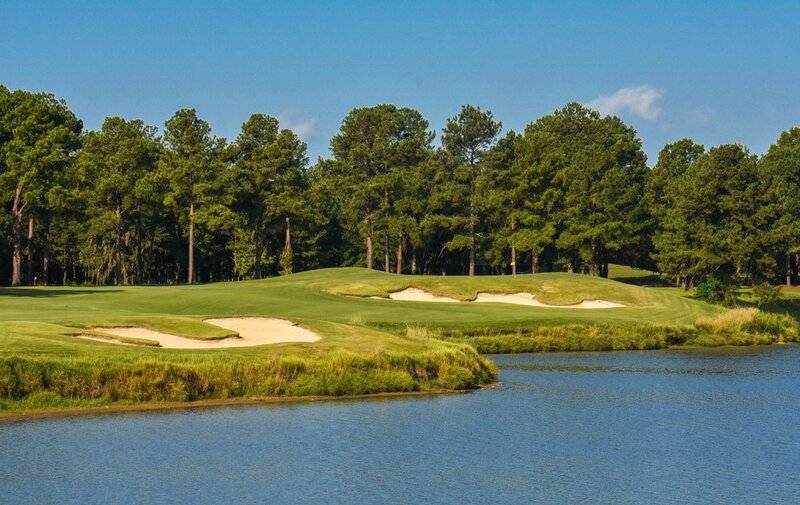 The final round of the 2016 RTJ Golf trip would take place on the Short Course at Grand National. As you can tell from the gallery, the course is not your average par 3 course. From full bodied long irons to delicate pitches, the short course will test the mettle of your approach game. We played as a five some without shoes. Captain Joe would even go shirtless for a stretch of 6 holes. The final putt would be holed in darkness and unfortunately for now, the golf would be over. 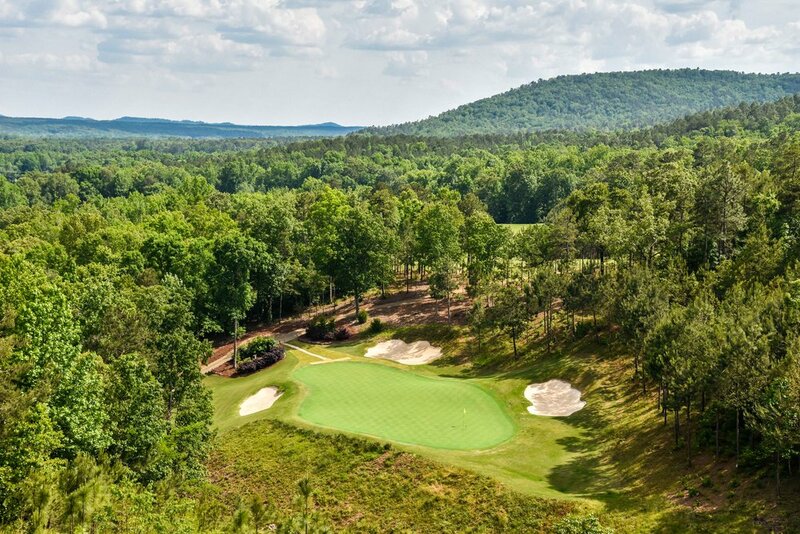 Designed by Tom Fazio and Jerry Pate, Old Overton was named "Best New Private Course" by Golf Digest in 1994. Old Overton is actually the only Tom Fazio Design course in Alabama. Our foursome was kicking off a serious Alabama Golf effort and this was the first of a 9 course Alabama tour. We enjoyed our warm welcome of southern hospitality as we took to the course. It quickly became apparent that there would be a lot of sweating on this golf trip as it is freaking hot in Alabama. 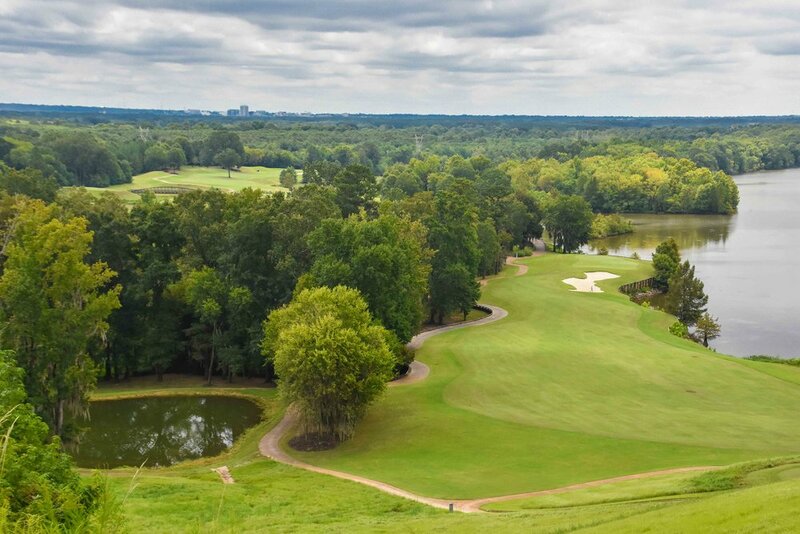 The Ridge Course at Oxmoor Valley is part of a 54 hole facility on the Robert Trent Jones Golf Trail. The complex is built on former mining land owned by US Steel. The Ridge Course features some significant elevation change, heavy tree cover, and undulating fairways. The 3rd hole stuck out as one of the more memorable par 5's that we played on the RTJ Golf Trail. This would be the tail end of a day that featured 45 holes of golf. I was fortunate enough to birdie 8 of those 45 holes, setting a new personal record for most birdies in one day. 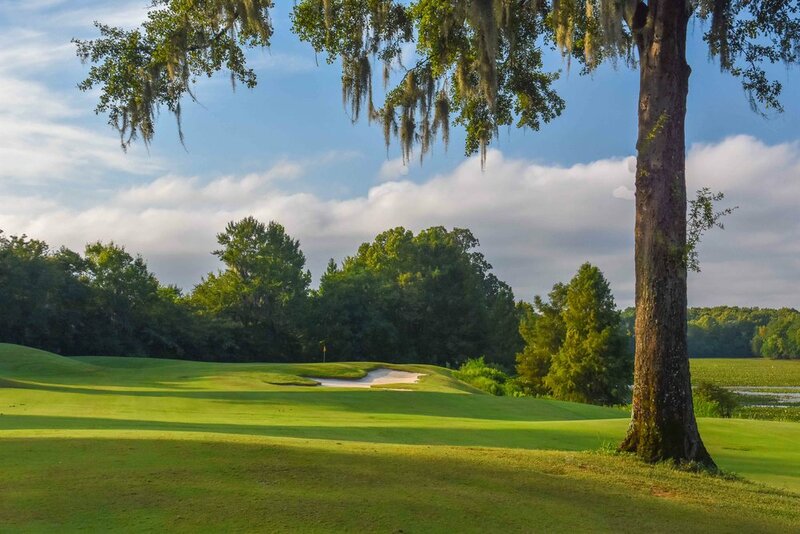 Ross Bridge Golf Resort and Spa is carved into the terrain of Shannon Valley and is a proud member of the Robert Trent Jones Golf Trail. The course is the 5th longest course in the entire world and measures a staggering 8,191 yards from the back tees. We decided to step up 2 sets of tees and take on 6,783 yards. The 90 degree heat had scared off the casual golfers and our group was permitted to play as a five some. This effectively increased the hilarious comments and birdie count by roughly 20%. Unfortunately, the double bogie rate increased by 25%.